An old Mercedes Benz ad byline goes like this: "Beg, Borrow, Steal... or BUY". They missed out on an important aspect- "Rent!" 4 years back, I had rented a Mercedes Benz C Class for a few hours. [Details] The car then came with a chauffeur and its owner was not willing to trust me with the car. In other words, I wasn’t allowed to drive the car. Few countries like Singapore and Denmark have Mercedes Benz as taxis. I had the chance to ride them a few times, but for some strange reasons, these taxis never felt luxurious or spacious. However no one had a Mercedes Benz for self drive in India- agencies like Car club, Avis, Carzonrent have hundreds of Mercedes Benz in their fleet- but these are often used to pickup and drop business/first class air passengers or 5 Star hotel guests (Many airlines like Emirates offer free pickup/drop in luxury cars to customers who buy Business Class/First class tickets and they tie up with Hertz to execute these ground transfers) and other corporate rentals but never offered these expensive cars on selfdrive to ordinary folks. Uber has some of the high end cars, but again, we can't drive it. Since then lot of things have changed. 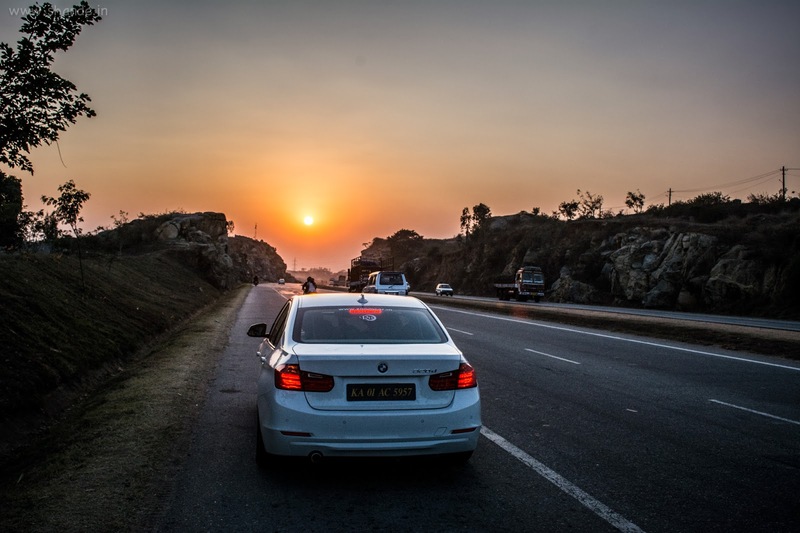 Last year, Zoomcars in Bengaluru added BMW 320d to their fleet [Details , Photoshoot, Some more Photos] and I could drive them for a day by spending 10k. I won a photo competition and got to drive it one more day later. Mercedes Benz is still on wishlist. I could have walked in into a Benz showroom, pose like a prospect and ask for a test drive- but this won’t usually work. Staff there are good at figuring out that I can’t afford to buy one, so probability of me being allowed to touch the car (let alone drive it) is very remote. So my desire to drive a benz had to wait. More than 8 years in the IT industry, luxury cars are still not affordable to buy, unless otherwise I manage to rob a bank. But thankfully, it pays me enough to be able to occasionally spare some money and rent out these luxury cars and luxury car self drive rental scene in India is hotting up. 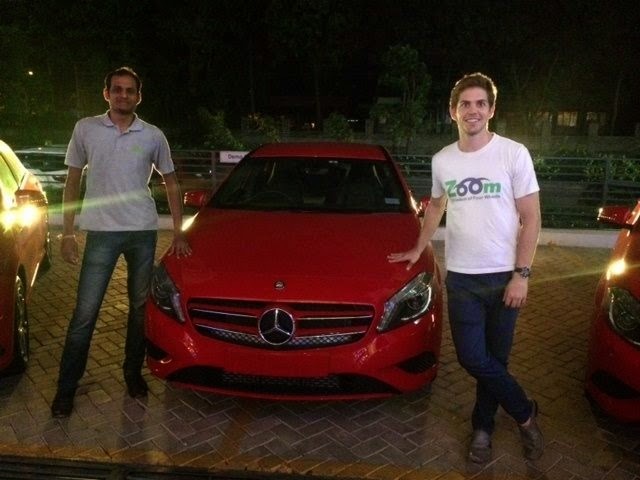 Zoom's A Class is very cheap if you can book on week days- just about Rs 3900 a day, 225kms fuel included. On weekdays, it costs Rs 6500. Carzonrent is charging Rs 7500 a day for C Class and 14000 a day for E Class. Fuel not included in the rental. C Class is available in Chennai, Blr and few other cities, while E class is available in Blr and Delhi. These cars are also available for hourly rental (Min 2 hours)- at Rs 1000 per hour for C Class and 1400 per hour for E Class. *Disclaimer: prices are subject to change at the discretion of operator. Pls check with corresponding agency for latest price, availability and other terms. Be advised that to rent a car from Carzonrent, you need to have a credit card and for luxury cards, you should have 70000+ credit limit. (They will block Rs 70k on your card as security). Their paperwork also tend to take more time. Zoom on the other hand has much simpler process- it is like walk in and within few minutes, zoom out. Mercedes Benz C Class rivals BMW 3 series in the premium car market. E Class rivals 5 series. I’ve booked an A Class, a C Class and an E Class for 2 hours each. I am now poorer by about 7000 Rs in total. It was tempting to book them for a whole day each, but for that I needed to rob an ATM at least, if not the Bank itself. In the two hours I get to date these beauties, I will try to explore them as much as possible. As usual, you can expect some up close photos and reviews. Be extra careful while you drive these cars. A simple damage could set you back by your one month’s salary! Because of their lower ground clearance and a tendency to go faster because of more powerful engines, you need to be extra cautious. However the other German car maker, VW Group's Audi is missing all the action. Let us see who introduces an A4/A6 or Q3/Q5 first. Yes, they are cheaper because of liberal tax regime. In India CBU, CKD units are taxed heavily. How much more space you're looking for? Go for M class SUV or S Class! Atleast 40 inches space at the back seat? i decided not to pay the Germans money - im looking for a mid sized SUV at this point. Buy an Indian Land Rover! They have a long wheel base edition! and of course you've more options there- Dodge Caravan, Jeep Grand Cherokee! Informative post Shrinidhi Hande ! Funny that you should mention the Jeep Cherokee. After watching some amazing videos we decided to give it a try - surprisingly even the high end cherokee limited(not the grand) did not have some of the(leather seats/sun roof/heated seats/passenger side automatic controls) features we were looking for - plus its a v6 - so mileage is low. The Nissan Murano is similar but had some of the features in my must have list. The Rogue and CRV are cheaper, better mileage but leave a lot to be desired as far as aesthetics are concerned. Oh well that my rant about cars! Alternatively, buy a budget car for daily use and rent luxury cars on need basis..
1. Ford Figo Rs 60 per hour from Monday to Thursday and Rs. 100 per hour from Friday to Sunday *10 km per hour and min. 4 hours billing. 2. Ford Eco-sport Rs. 100 per hour from Monday to Thursday and Rs. 150 per hour from Friday to Sunday *10 km per hour and min. 4 hours billing. 3. Mercdes A Class Rs 165 per hour from Monday to Thursday and Rs. 240 per hour from Friday to Sunday *10 km per hour and min. 4 hours billing. 4. BMW 3 series Rs 195 per hour from Monday to Thursday and Rs. 250 per hour from Friday to Sunday *10 km per hour and min. 4 hours billing. please visit www.zoomcar.in for details.